Gong Xi Fa Cai! Kung Hei Fat Choi! Kiong Hee Huat Tsai! Happy Chinese New Year! While my mother is in Singapore with my dihia, my kuya and I are left here in Manila, bored. Set on making the most out of this Thursday holiday, I decided to go to Chinatown aka Binondo despite the grey clouds this morning. I woke up early and studied the many ways to commute to Binondo (since it’s only my second time), before heading off. The MRT/LRT were pretty spacious and after about 20-minutes worth of travel, I was finally in front of the ‘Arch of Goodwill’. Even the first time I went, I pass through this same entrance. 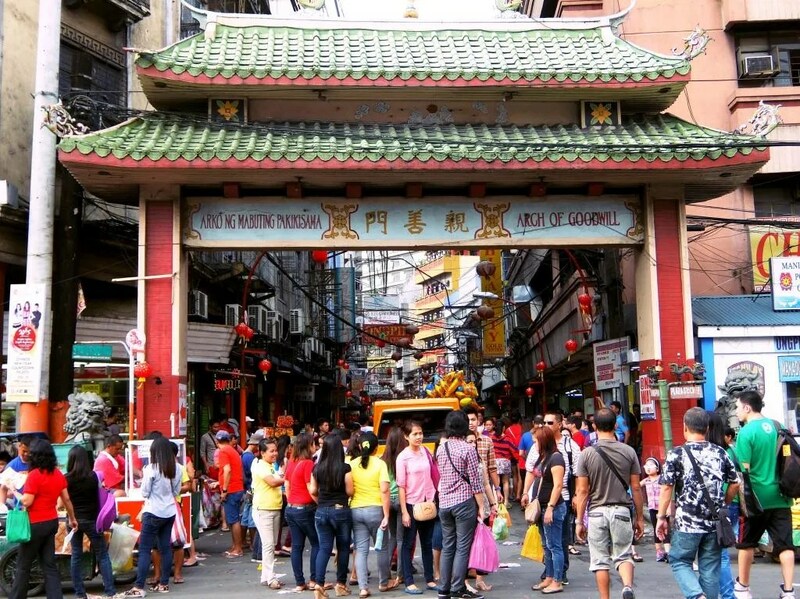 Going through this arch brings you to Ongpin which I would consider the main street in Binondo. Why? 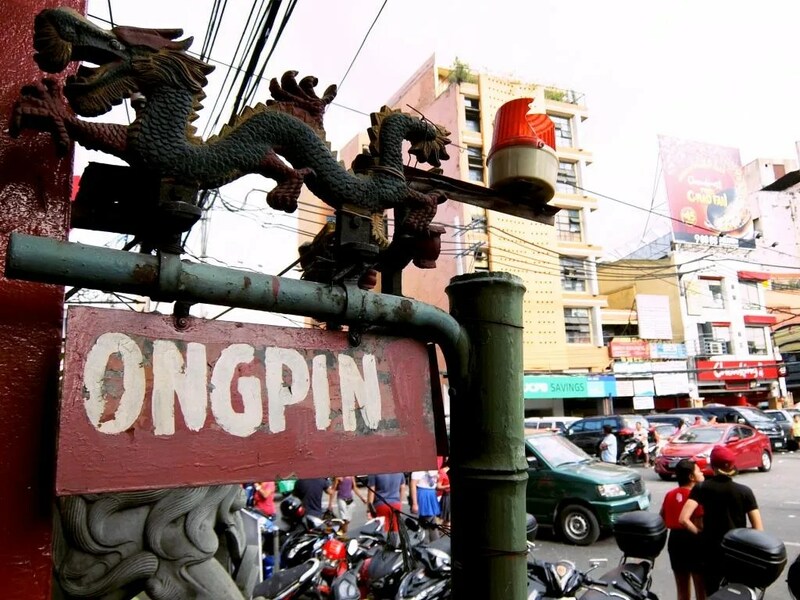 Well, Ongpin is such a long street and it is the address of a lot of businesses in the area–from restaurants, charm shops, hotels even! 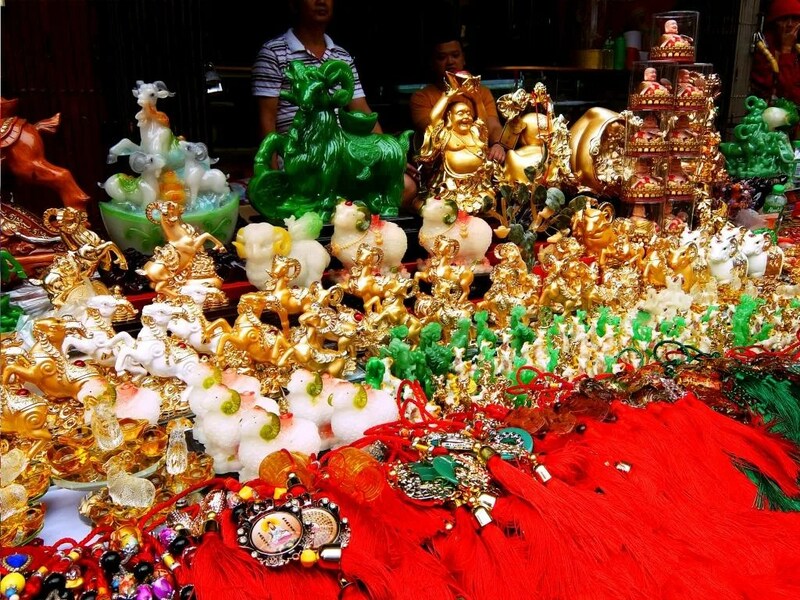 While there is no surprise that there would be people selling different charms whether to attract luck or to repel misfortune, I am amazed by the number of sellers today! I recalled the last time I went, the streets were not as full. But it is Chinese New Year and it’s part of their culture. I was even tempted to buy but I didn’t know what I need, specifically. The one below was my favorite stall, and in fact, the first one I saw! The layout was nice, the items were beautiful, and the people who were behind the counter were cheerful. 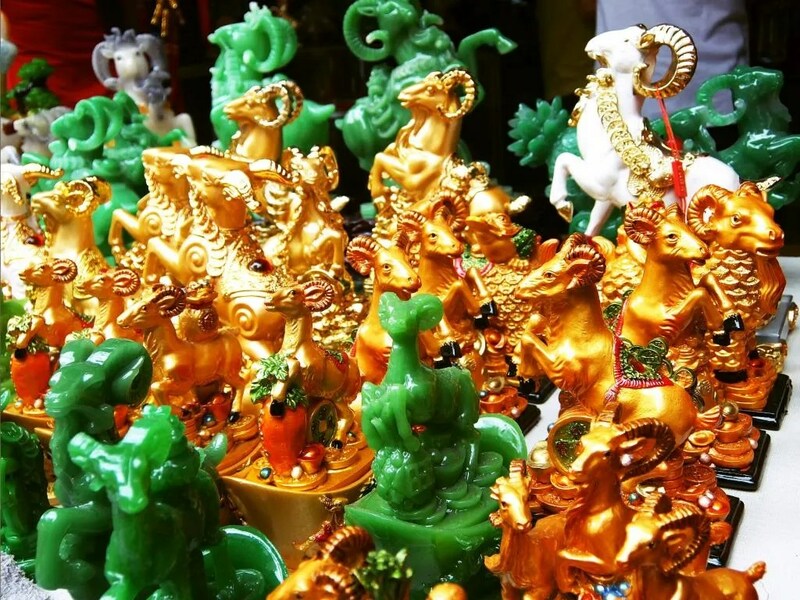 These goat statuettes from another stall were also really charming! While I was set on doing a food trip, it was just a bit impossible given the number of people today. The queues were long, and for some, just a bit crazy. 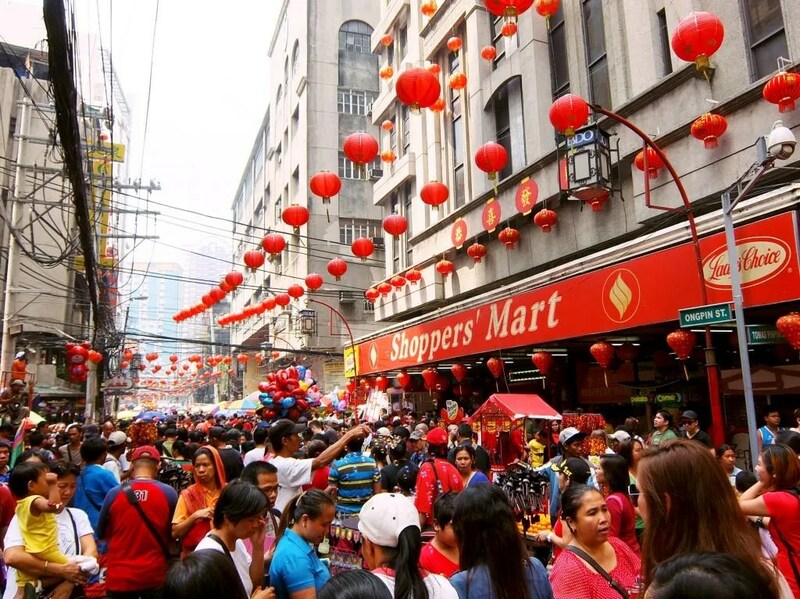 There were moments when I felt bad that I kept on hitting people because the space was just too tight for possibly a thousand people along Ongpin. It didn’t help that there were instances when groups (read 5-10) of photographers would stop in a spot and take a good 3-5 minutes blocking the road. But hey, it’s nice seeing people who are into photography + some had nice cameras. The one with the Minolta was my favorite. 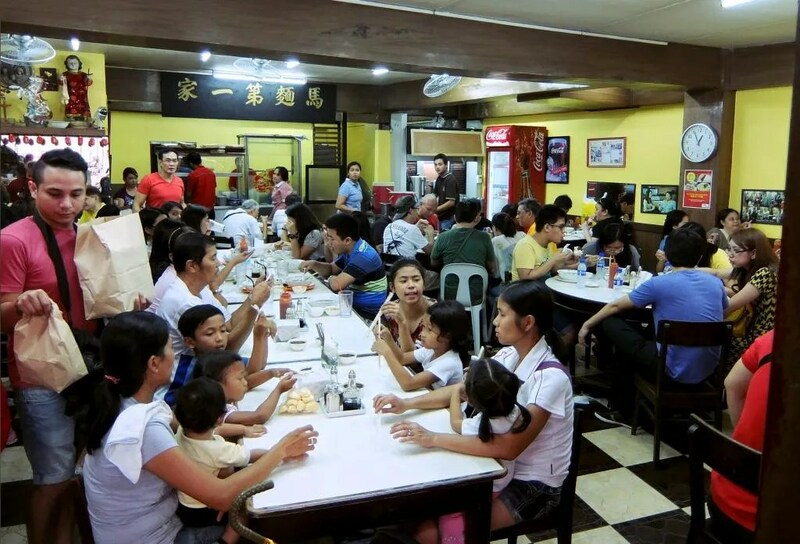 I eventually went to Benavidez, and while I was tempted to go for Wai Ying, I opted to try something new: Ma Su Ki Mami Restaurant! It’s funny I even asked for a menu given that they only serve two things: Mami and Siopao. They have a lot of variants but I went for the Asado. While the noodles could’ve been better, the broth was great. Flavor was enhanced when spring onions and the sweet sauce were added. 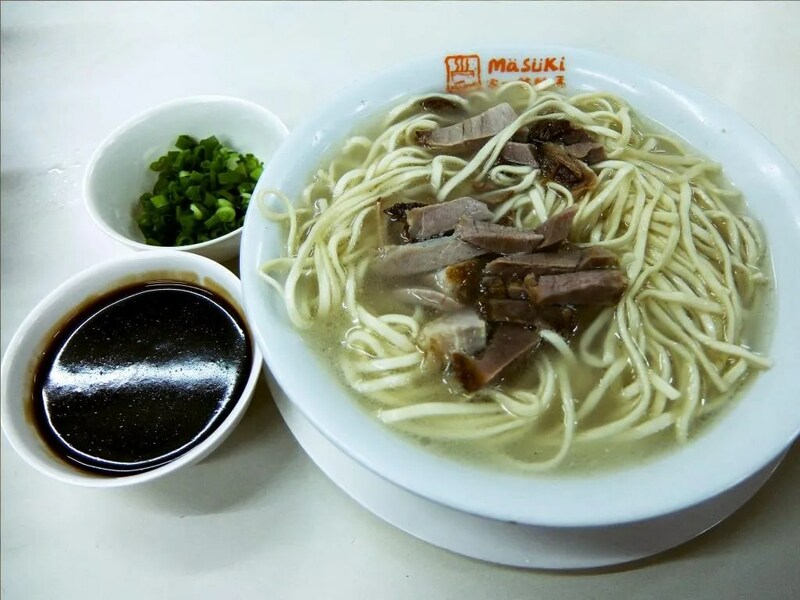 What I liked about Ma Su Ki is that it is simple: good food, good price, good customer service. I wasn’t able to try their siopao though, so I can’t vouch if it’s tasty. I would like to believe so considering they have been around for such a long time. 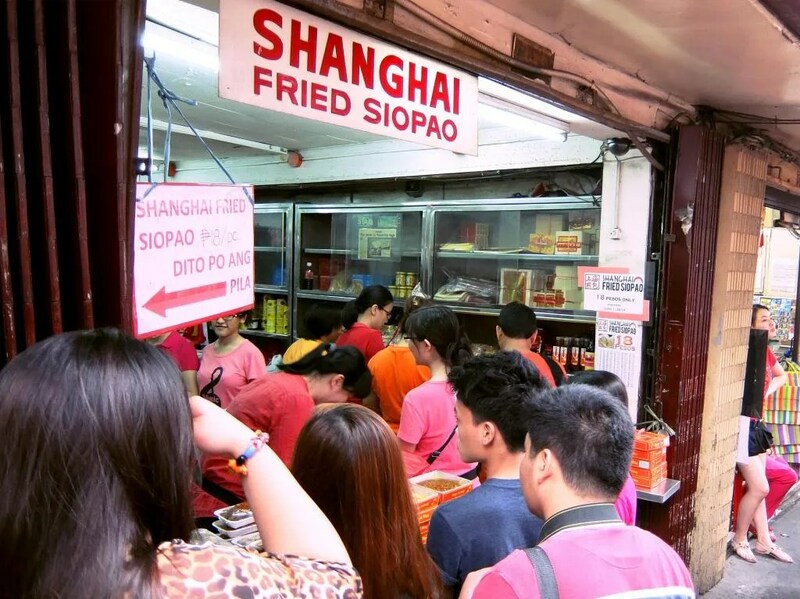 I did however wait in line for about 20-30 minutes for Binondo’s most famous fried siopao! I am not sure with their cooking process but their siopao has a following. Never mind the rain, people didn’t want to leave their spot. And for 18 pesos a piece, it’s a steal! What makes it special? As the name implies, it’s fried. At least part of it is. 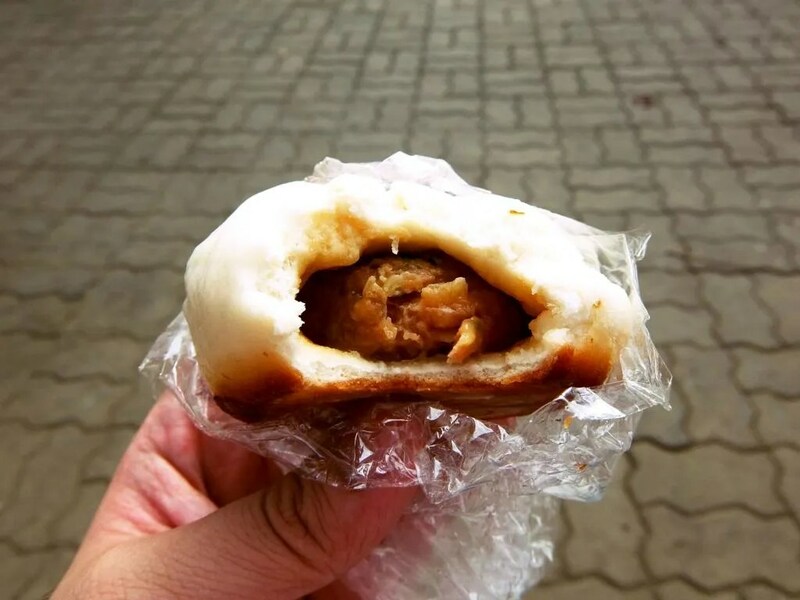 The size may not be impressive, being smaller than the usual siopao, but I assure you, the taste makes up for its size. After being full, I started walking around some more, entering small streets, deviating from the crowd’s path. Eventually, I came across colorful lion dancers which entered two stores. 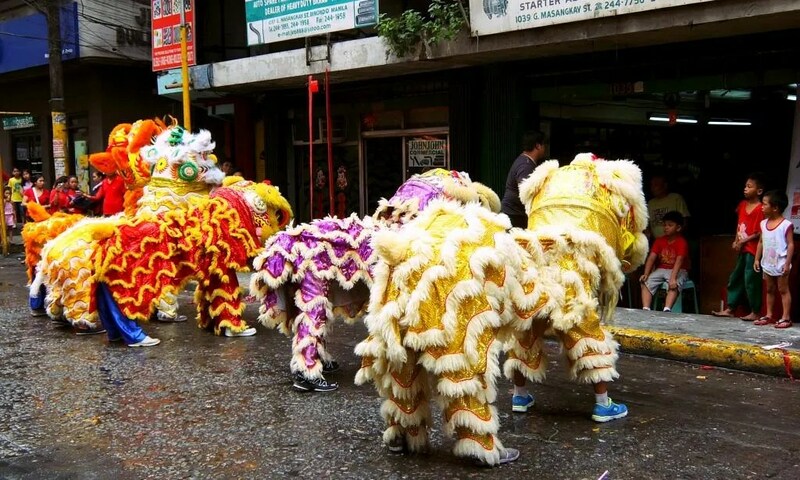 Do I believe that these lion dances can attract good luck for businesses? I’d like to think that they can help boost the optimism among the people running shops, and in the process become driven to do well. 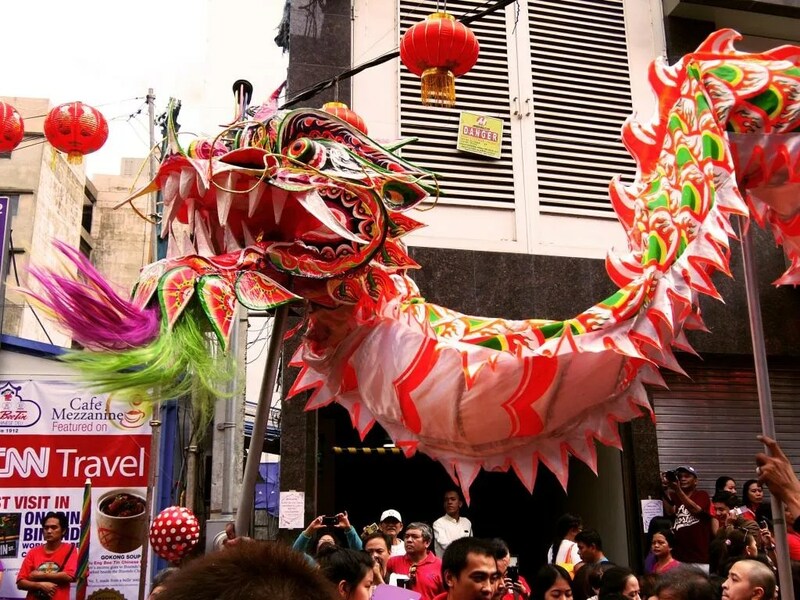 What is Chinese New Year in Binondo without encountering the dragon dance as well, right? I believe I came across 5 dragons today. I hope those are enough to turn my luck around for the rest of the year! I think it was already around 3PM when I started to get tired going around, taking photos, and being stuck in crowds. I wanted to take home some Dong Bei Dumplings but the line was too long. And while I know it’s worth the wait, I was simply exhausted. 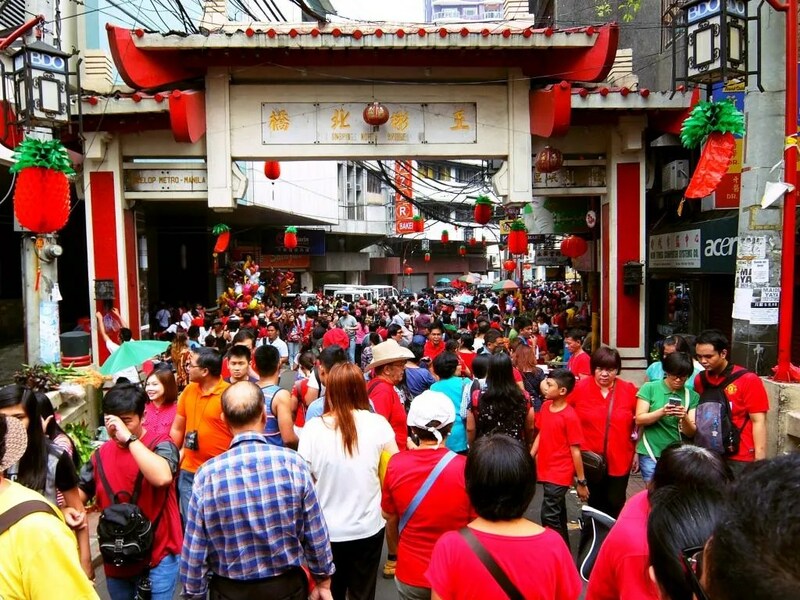 And so I braved a sea of people one last time before saying goodbye to my Binondo trip. My day was pretty eventful, and I can say I definitely made the most out of this one-day holiday. 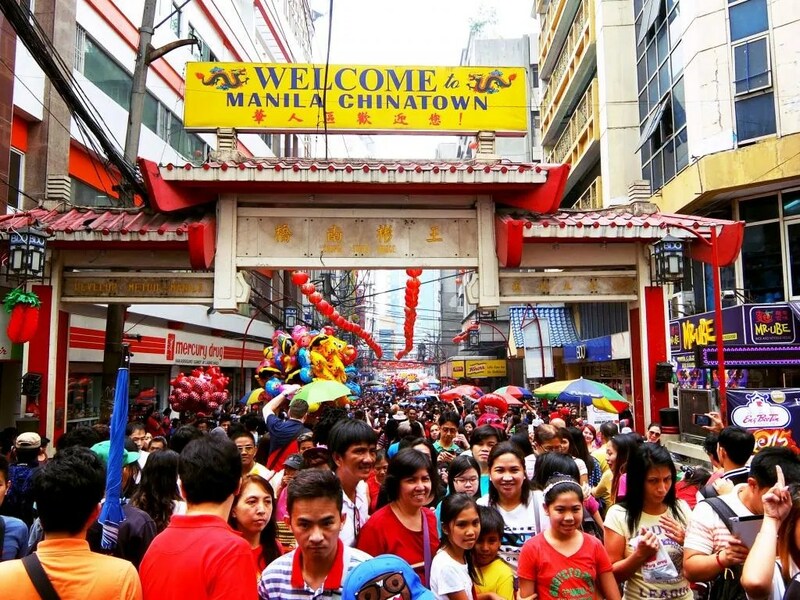 And if you were to ask me what Binondo is like during Chinese New Year? Three C’s: Crowded, Colorful, Charming. I’d definitely go back next year. And again, a Happy Chinese New Year to you! May this year bring you much happiness and prosperity!